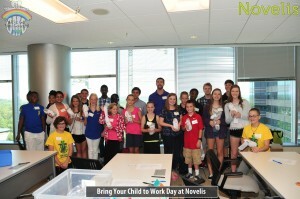 OMG was invited to participate in the “Bring Your Child to Work Day” at Novelis earlier this week. 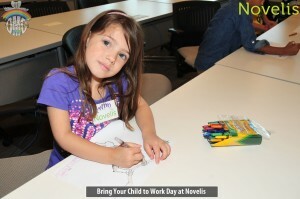 The event is an annual event which allows Novelis employees to share their work with their families. 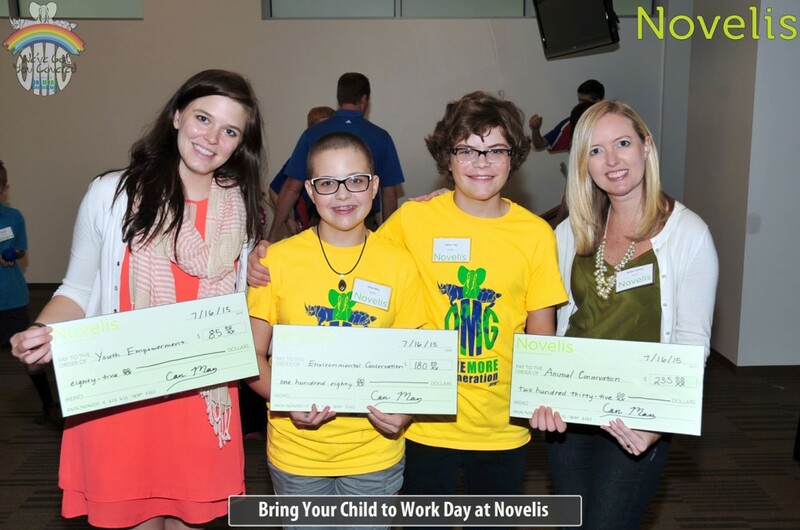 Kaitlin Kress is the Corporate Social Responsibility Coordinator for Novelis and was responsible for coordinating special activities for the kids throughout the day. OMG was invited to come and share our various outreach efforts with the youth and inspire them to also want to get involved in ‘giving back’ in some fashion. The children were divided into different groups based on age and Kaitlin helped construct fun activities for everyone to get involved with. For the younger age groups, Carter and Olivia shared our Orangutan Letter Writing Campaign and educated the children on the issues facing the species. The children were then given the opportunity to voice their concerns to the President of Indonesia via coloring pictures of orangutans. All the pictures will be added to our campaign and eventually hand delivered to the President. 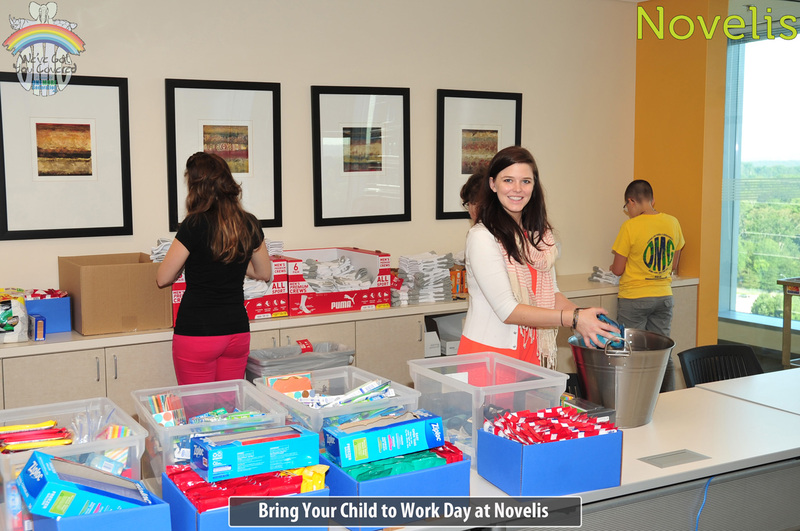 For the older groups, Novelis procured basic necessity items such as toothpaste, band-aids, deodorant, toothbrushes, facial wipes, breakfast bars and socks so that ‘Personal Care Kits’ could be assembled. Collectively the youth created over 400 ‘Personal Care Kits’ which will all be donated to the Children’s Restoration Network of Atlanta. 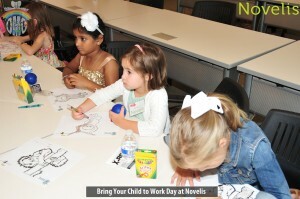 During each session, Novelis provided the children with $5.00 tokens and each one was allowed to decide which of the three outreach categories OMG is involved in that they wanted to donate towards. Olivia and Carter shared how they started OMG and how they created their Animal Conservation, Environmental Conservation and Youth Empowerment divisions. After the session, the children all came up to one of the three outreach donation jars and dropped their $5.00 token in the area they wanted to help the most. At the end of the event, Novelis totalled all the tokens in each category and surprised us with a donation check for all the tokens collected. We were so surprised. It was fun to watch the children as they stood in front of the jars debating which category meant the most to them. The event was a huge success and we wish to thanks Kaitlin and the entire Novelis team for their awesome support and for allowing us to share our work and vision for the future with the Novelis families. You can learn more about Novelis by visiting their site and if you too would like to have OMG come and be part of your next corporate event, please give us a shout, we would love to help.